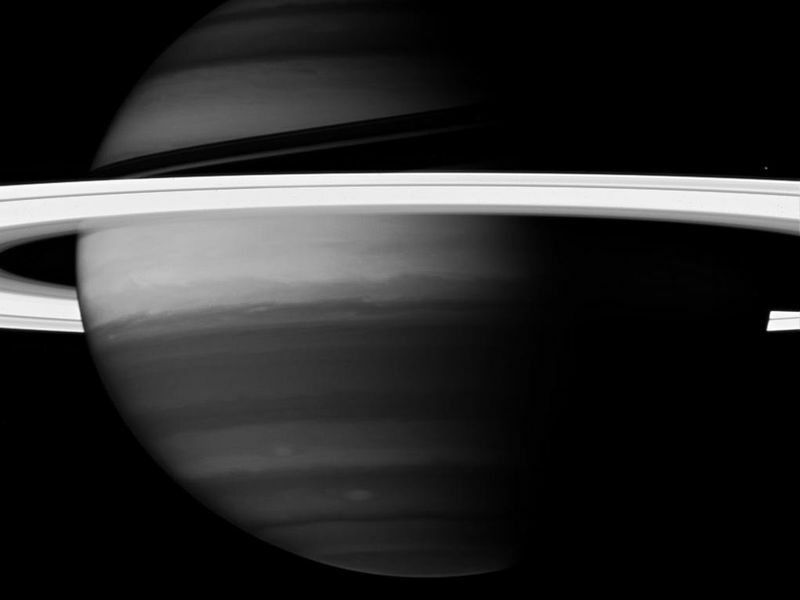 Saturn's rings create a brilliant halo around the turbulent giant planet. 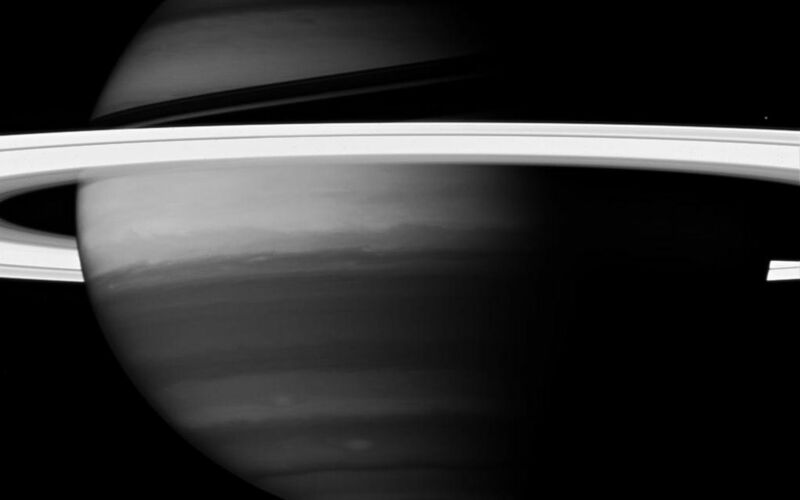 Here, the Cassini spacecraft looks into Saturn's clouds using a spectral filter sensitive to absorption by methane. Light that reaches down to depths where methane is prevalent gets absorbed. Regions of the planet devoid of the clouds and hazes that can reflect this light back to the camera appear relatively dark. Thus, the bright areas in these images represent hazes and clouds high in the atmosphere. 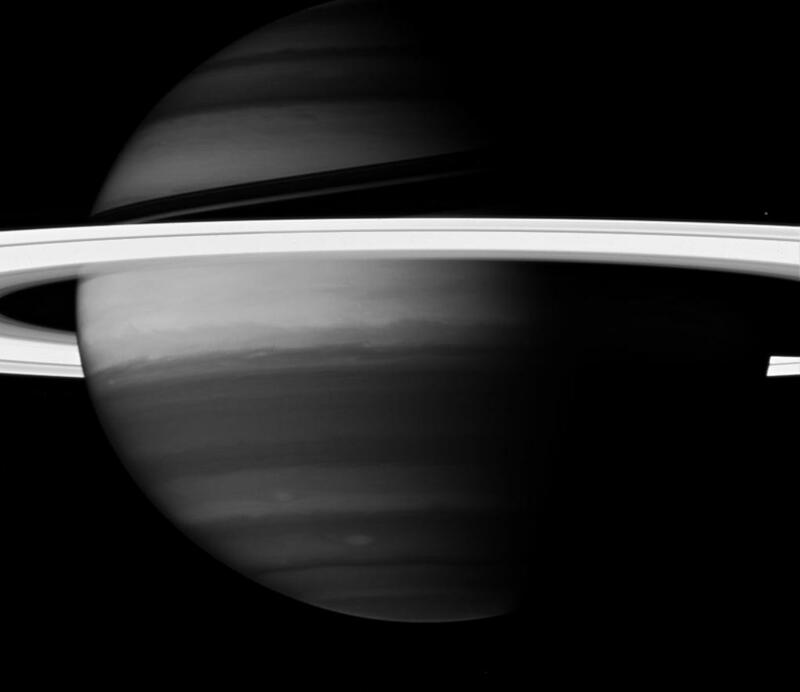 Because the range of wavelengths for this filter is narrow, and because most of this light is absorbed by Saturn, the planet's disk is inherently faint and the exposures required are rather long. The rings do not strongly absorb at these wavelengths, and so they reflect more light and are overexposed compared to the atmosphere. 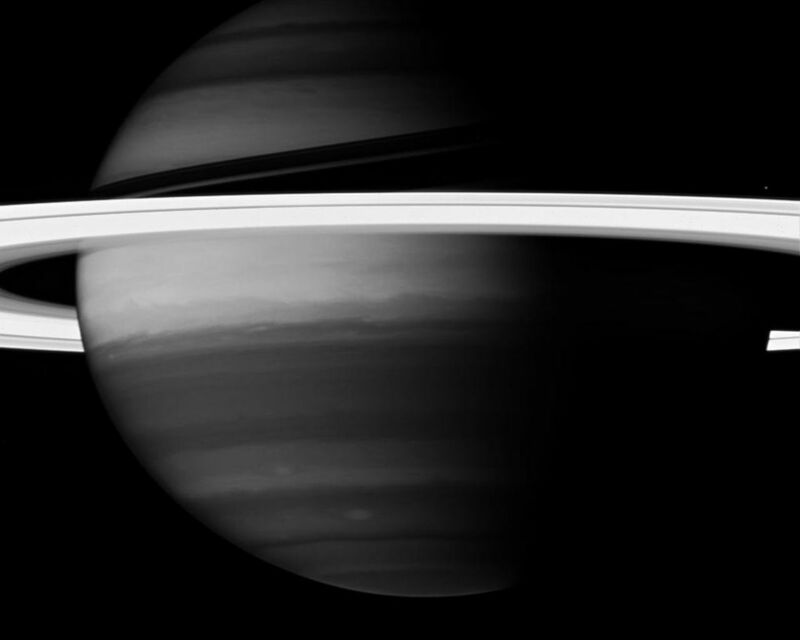 This view looks toward the sunlit side of the rings from about 6 degrees below the ringplane. Janus (181 kilometers, or 113 miles across) is seen above the rings at right.